Tyrol mountain range en-route over Austria. 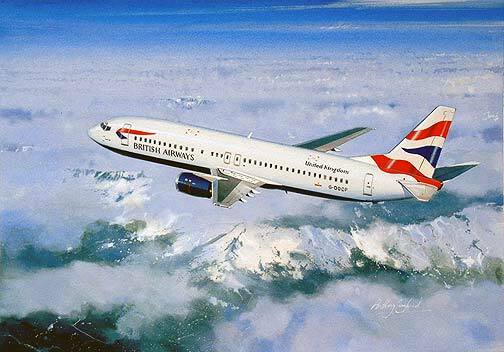 A British Airways Boeing 737-436 passes over the Tyrol mountain range en-route over Austria. Along with the 757s and Airbus fleets the 737 is part of a very hard working European operation This limited edition fine art print by the artist Anthony Cowland G.Av.A. is a limited edition of 250, each signed and numbered by the artist.